Spring has sprung and Easter was this past weekend. We had the second highest temperature recorded for Easter in New York and it was beautiful. This is the time to pull out your floral attire and wear your spring colors while spending time with family. 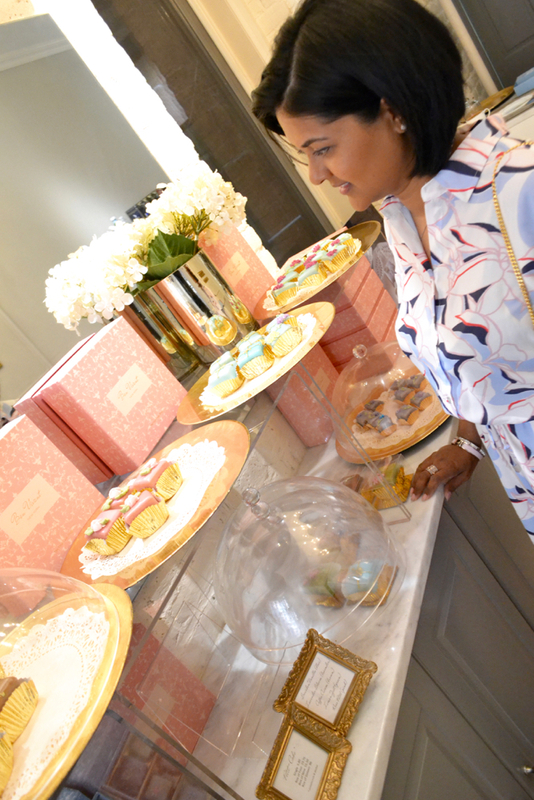 In addition, it is time to indulge in sweets and the café, Bon Vivant, has the best kinds to partake in. Bon Vivant is the most adorable spot you will find in Midtown Manhattan, located at 238 East 58th Street. 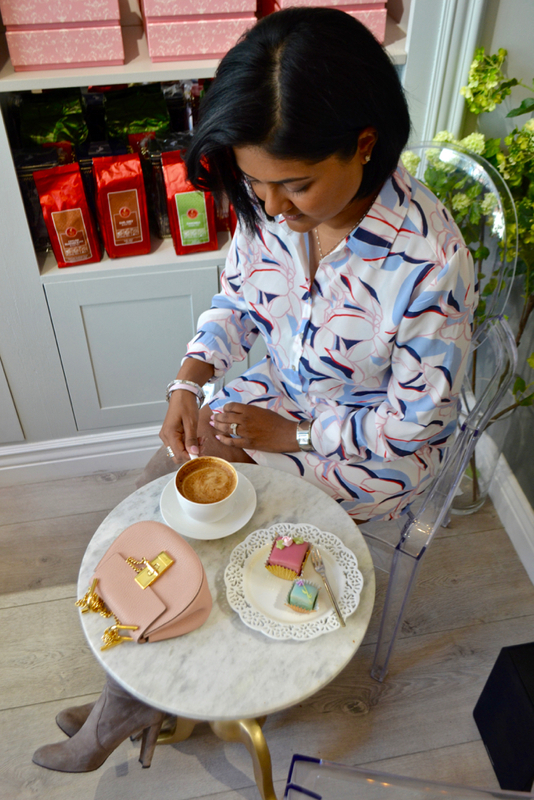 Once you walk in, you are transported to a Parisian style cafe with the most delectable treats. They specialize in petite fours and petite cakes. 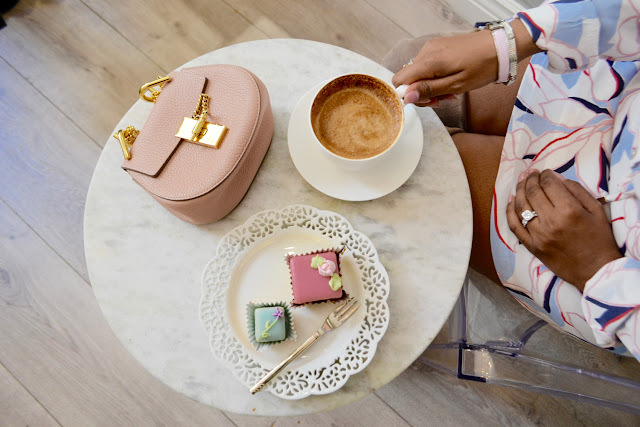 The petite fours are bite sized cakes that are perfectly composed and the petite cakes are portioned for a single dessert serving. The petite cakes are a larger version which offer a greater cake to fondant ratio allowing you to savor more of the great flavor. Their flavors vary from zesty lemon, rose petal, and coffee cream, just to name a few. They are rich in flavor and so beautifully decorated. It is clear that a lot of effort and love is put into making and decorating each of their desserts. These luxurious treats are great with a cup of coffee or tea or packaged for a gift to someone special. Anyone would be happy to receive a box of these delicately adorned sweets. They are the cutest edible gifts and are perfect for parties and celebrations. I would highly recommend going to the cafe and indulging in a petite four paired with their Austrian coffee, listening to gentle music as you relax inside this well lit and charming cafe and take in all the charm Bon Vivant has to offer. 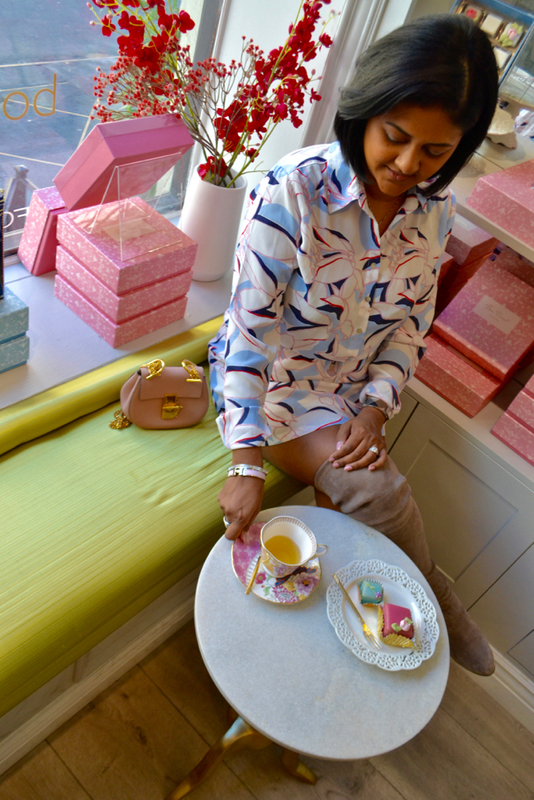 I spent a beautiful spring day at Bon Vivant and my outift called for light pastel colors to match my pretty desserts. 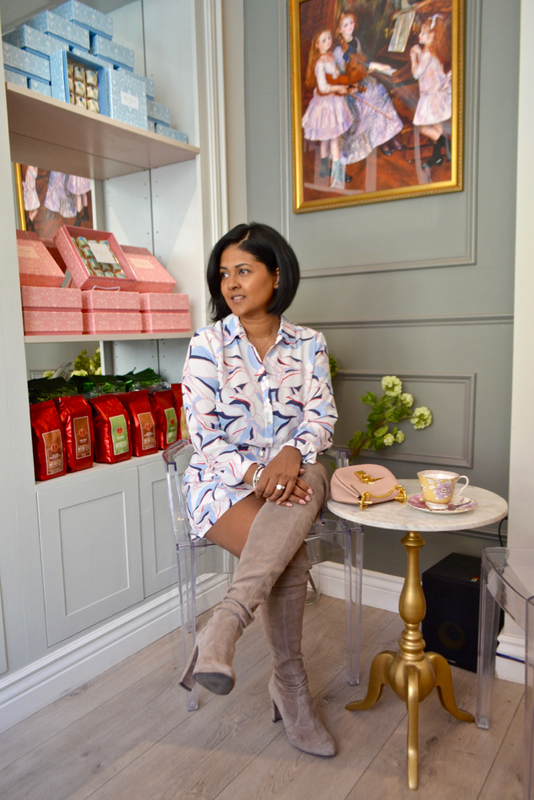 This dress from Noir is light and airy and left enough room for me to fill my belly with this cafes scrumptious cakes. My grey boots are always a great addition to any outfit and to keep the color scheme, I paired my Chloe mini Drew purse with it. Simple accessories are what I am all about at the moment. I have two bangles on rotation right now as well as one of my favorite rings. 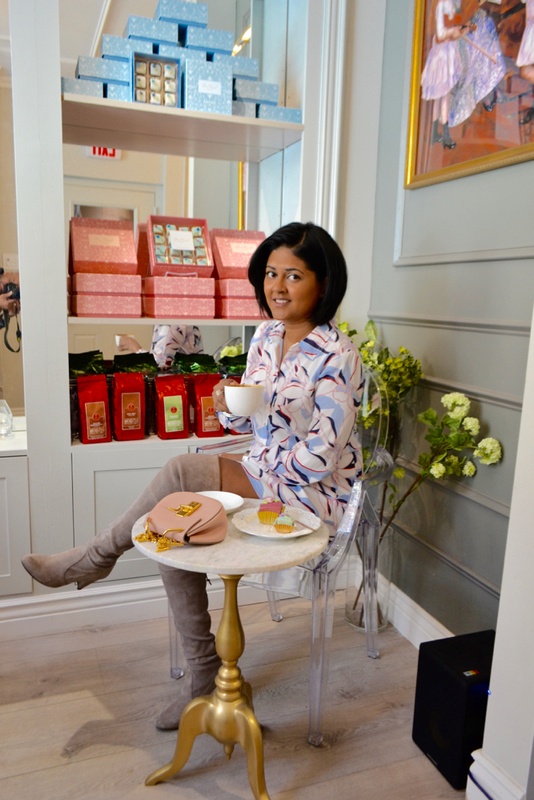 This outfit is comfortable and perfect for a day of coffee and confections!